Fighters on the special double main event of Matthysse vs. Kiram and Linares vs. Gesta held a final press conference today ahead of the explosive Golden Boy Promotions card that will take place this Jan. 27 at the “Fabulous” Forum in Inglewood, Calif. 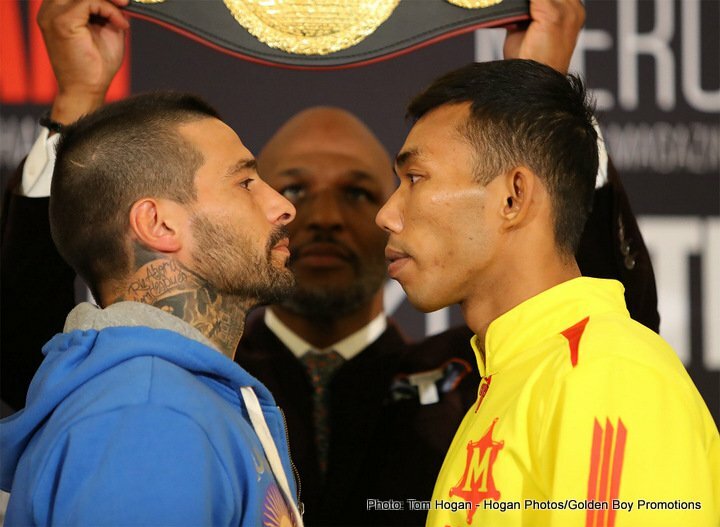 In the first part of this spectacular main event, former interim WBC Super Lightweight Champion Lucas “La Maquina” Matthysse (38-4, 35 KOs) of Chubut, Argentina will take on undefeated Thai superstar Tewa Kiram (38-0, 28 KOs) in a 12-round battle for the vacant WBA Welterweight World Championship. In the second main event, Jorge “El Nino De Oro” Linares (43-3, 27 KOs) will face Mercito “No Mercy” Gesta (31-1-2, 17 KOs) in a 12-round defense of his WBA and Ring Magazine Lightweight Titles. The event will be televised live on HBO Boxing After Dark beginning at 10:30 p.m. ET/PT. 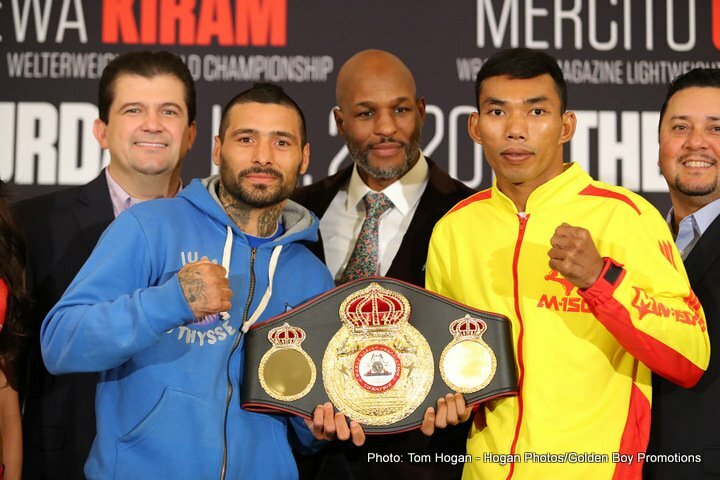 Matthysse vs. Kiram is a 12-round fight for the vacant WBA Welterweight World Championship and is presented by Golden Boy Promotions in association with Arano Box and Galaxy Promotions. 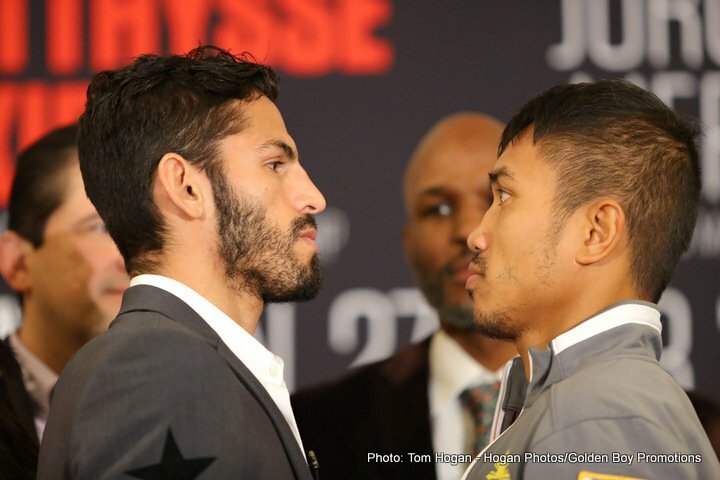 Linares vs. Gesta, a 12-round fight for the WBA and Ring Magazine Lightweight World Championships, is presented by Golden Boy Promotions in association with Teiken Promotions. The event is sponsored by Tecate, “THE OFFICIAL BEER OF BOXING,” Hennessy “Never Stop, Never Settle,” and Casa Mexico Tequila. The event will take place Saturday, Jan. 27, 2018 at the ‘Fabulous’ Forum in Inglewood, Calif. and will be televised live on HBO Boxing After Dark beginning at 10:30 p.m. ET/PT. The non-televised undercard action will be streamed live on RingTV.com beginning at 3:05 p.m. PT/ 6:05 p.m. ET. 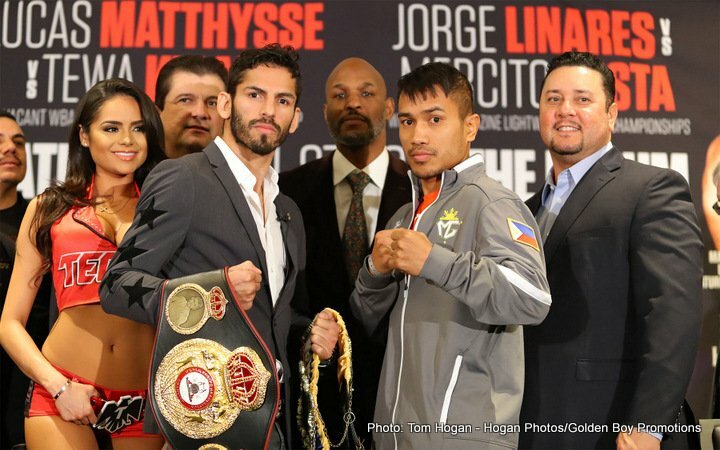 You are here: Home / Boxing News / Linares vs Gesta, Matthysse vs Kiram final press conference quotes for this Sat.